I just noticed this app and tried from few days back, I was recommending everyone "Tapporo" to earn real cash using their mobile phone rather than getting mobile reacharges. Whaff similar to Tapporo and the difference is, it gives much more money than Tapporo for each task you complete. There are lots of tasks can do the Whaff users daily, Each task pays .05$-1$ . In Tapporo each task count as Oro points and later it can redeem into real cash, but in Whaff dollar is counting each time u complete any task. Click here to install this app and Enter Invite code as BC66956 and you will get .30$ as a signup bonus. If you are ignoring this section your balance will show 0.00$ at the starting. 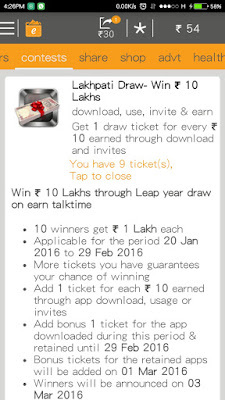 New Big contest Released (LakhPathi Draw), January 20th to February 29th, 2016: Download EarnTalktime app and invite your friends to win 1 Lakh Rupees. 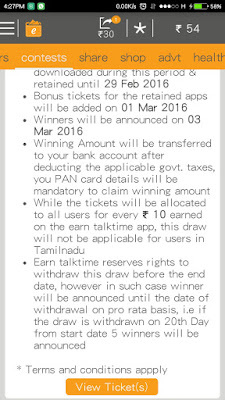 Total 10 persons can win this contest, each one will get 1 Lakh rupees. Earn Talktime makes it easy to earn money by downloading the best free android apps and by filling out short surveys etc. this app also the newbie in Play store. Tapporo is highly paying service for both android and iOS devices which can give real cash so that it is my first and best choice for earning a decent amount of money with less work. You just need to perform simple tasks like Downloading and installing android or iOS apps, viewing videos, Signup for websites etc.. You will get paid through PayPal cash, Facebook credits, gift cards etc..
-- Click on the offers, Then you will catch tons of apps installing offers which give tips. This app is one of the newest money earning app in play store which is legit and paying perfectly. Get .20$ for signup to wild wallet using this code 1724005 on the settings tab. Click Here to install this App. 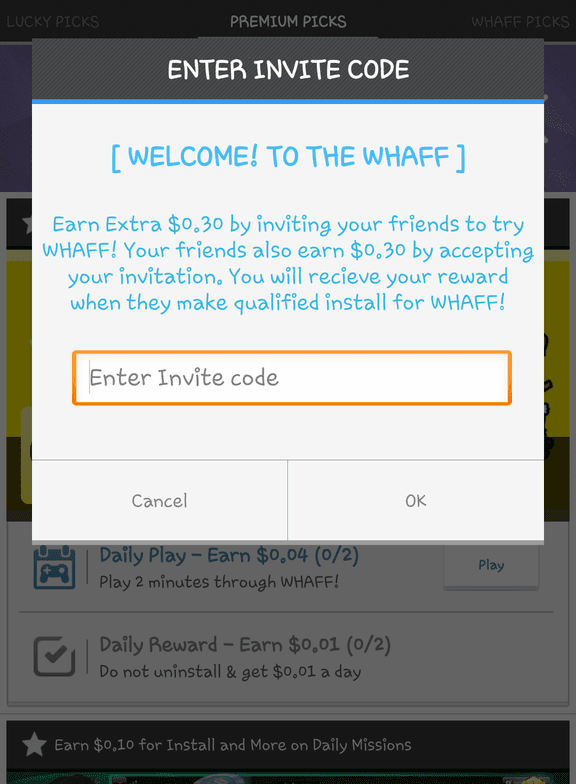 The main benefit of this app is, you can earn 200 coins (.2$) for each friend you refer to this app, you will directly earn this 200 coins, no need to wait for your friend trying any app from the list, so if you invite 20 friends to this app you are ready to get 20x.2= 4$ ( Receive payout through bank account linked to your PayPal account). 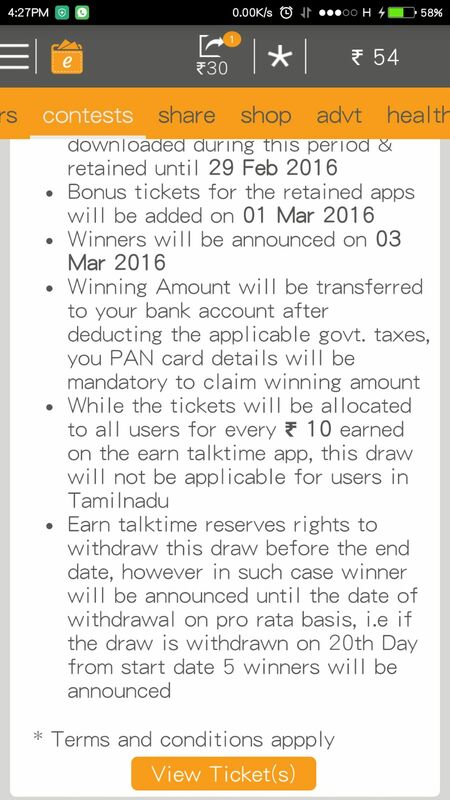 Tap cash is very simple and easy app to earn money daily. This app is similar to Tapporo and it also can pay you substantial hard currency. Performing simple tasks like downloading apps, viewing videos, registering websites etc.. Can pay you rewards. Enter code 7662517 in "Enter invitation code" section and receive signup bonus which can redeem to cash. -- Redeem points for PayPal cash, gift cards etc.. I'm already discussed many lock screen app on this blog but most of them are not working now (Working Lock screen apps: Paisa Swipe, KwickAd, Eureka, and My screen). Adsezee is a lock screen app which can pay you each time unlocking your phone, also, there is another choice to earn free recharge by downloading and installing android apps. -- Every swipe of your lock screen earns your reward, that can be redeemed to free mobile recharge. This is the new way to recharge your mobile phone for free. 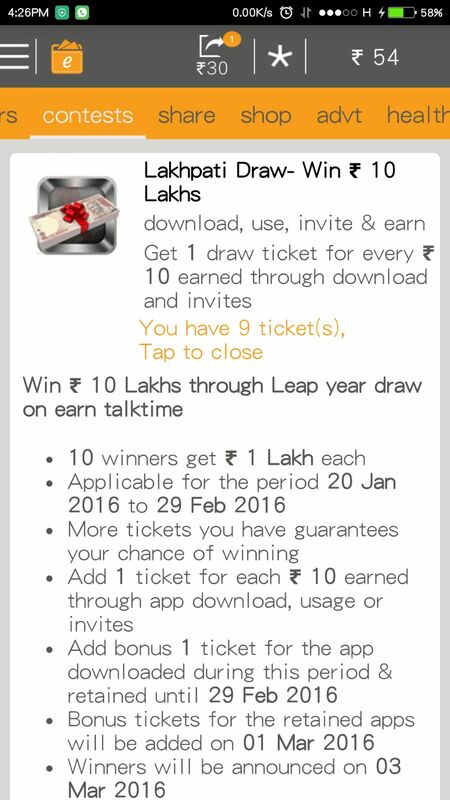 You can earn free recharge by daily login to this app, install apps, be registering to websites and many other.